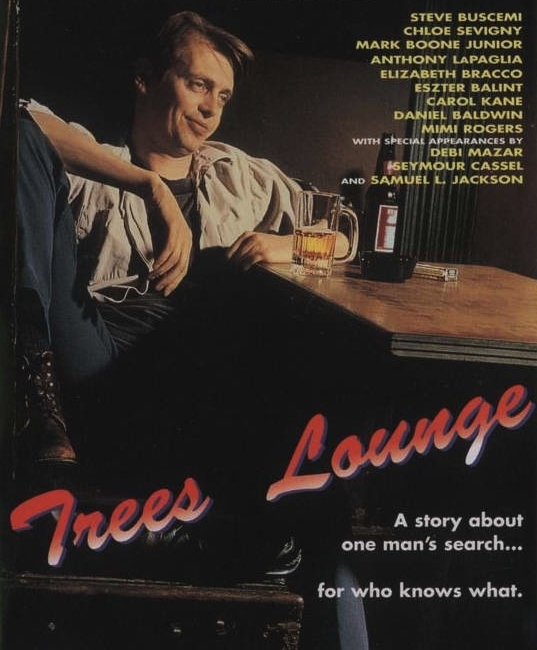 The title of this finely humble film, Trees Lounge, is the name of a New Jersey bar that acts as thirty something Tommy Basilio’s (Steve Buscemi) second home throughout it‘s running time. We initially find him hung-over, waking up in the Trees fifteen minutes after last call, demanding a shot of Wild Turkey. Tommy has just been fired, broken up with his pregnant girlfriend of eight years whose now involved with his once friend and former boss Rob (Anthony LaPaglia). Despite unable to keep his own car running, Tommy mooches around town looking for work as a mechanic, but spends most of his time getting drunk at the Trees making strained if appropriate acquaintances with some of the locals. Namely one Mike (Mark Boone Junior), who himself has his own domestic issues but has chosen to spend his “vacation” coming to the Trees everyday.